During 1942 food shortages began to have an impact on the Australian home front. The agricultural industry was struggling with massive labour shortages, a severe and prolonged drought, and major shortfalls in imports of seed stock and fertiliser. There was a growing realisation that unless agriculture became a focus of the war effort, food shortages would be imminent. 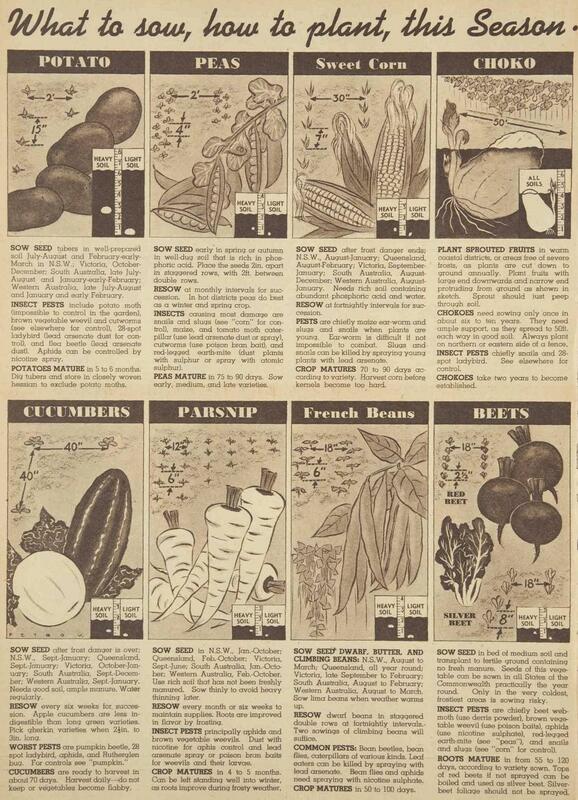 In January 1942 the Prime Minister, John Curtin, launched “Dig for Victory”, a publicity campaign urging householders throughout Australia to grow their own vegetables as a contribution to the war effort. Personal identity cards and ration books for clothing and food were also introduced. Australia had to provide food not only for Australians, but for British and American troops- a total of about 13 million people. Many Australians were already keen home vegetable gardeners, being self-sufficient with fruit and vegetables and a “chook shed” down the back. Most house blocks were about 30 or 40 perches in size, or about 800 or 1000 sq. meters, much bigger than the 400-600 sq. meters that developers are now dishing up. Some people turned over their whole front and back gardens to their “Victory Garden”, sometimes selling the excess to raise funds for the front. 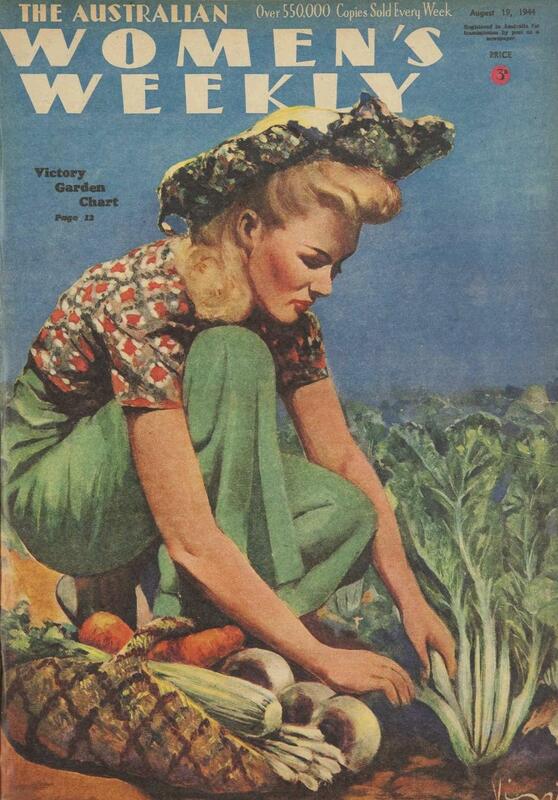 Here is the cover of the Australian women’s Weekly from 19 August, 1944. 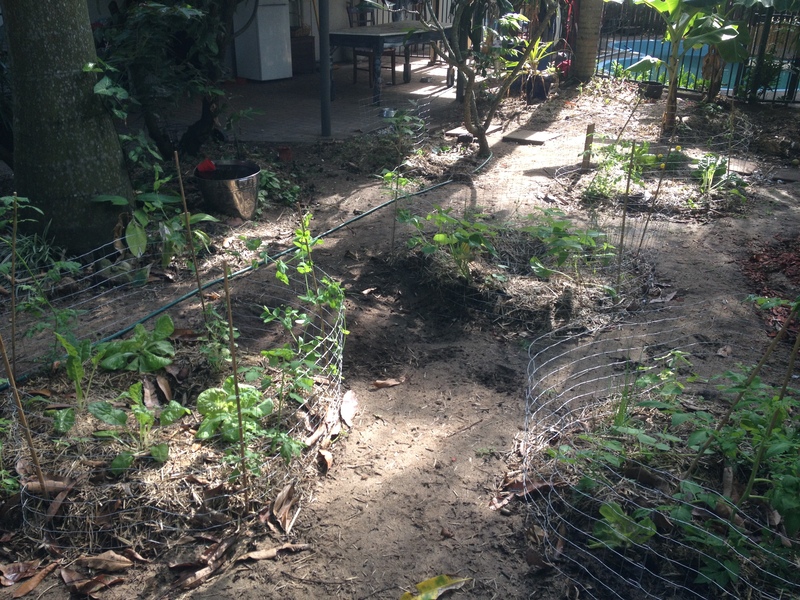 I have been inspired and turned my back lawn into vegie gardens – fenced to keep out the dogs. This is four weeks growth, with plantings of beans, snap peas, silver beet, tomatoes, spring onions, and zuchinni. Not quite enough to fee the family, but enough for the odd salad! 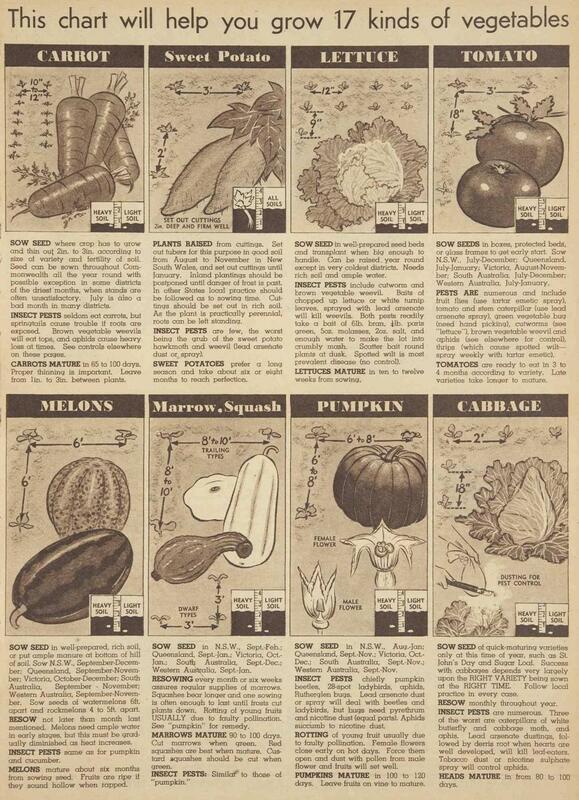 Posted in 40s Life, Food, The Homefront, Victory Gardens and tagged 1940s, planting chart, victory gardens, vintage magazine, WWII. Bookmark the permalink. I love history, fashion, art and design, especially of the 1930s to the 1960s. I am also a mother, wife, interior decorator & a treasure hunter who wishes she could drive a 1933 Delage. I studied Architecture at Melbourne university, briefly, and completed a Diploma of Art in Interior Design at the Melbourne College of Decoration in 1991. I have worked on an off as a decorator ever since, in between stints as a florist, balloon artist, having my five children and helping my husband in his law firm. in my spare time I love researching history, blogging and gardening.